1,065 people read this post. This essay provides a brief overview of recent academic evidence, high-level conferences, and media documentaries that raise fresh questions regarding the official account of 9/11. It then describes the 9/11 Consensus Panel as an up-to-date source of evidence-based research for any investigation that may be undertaken to settle 9/11?s unanswered questions. • The media has claimed for a decade that it is unable to evaluate the technical evidence being presented against the official story of 9/11. • A parallel problem existed in medicine during the years when there were contradictory, unranked approaches to evaluating the 22 million articles in the biomedical literature databases. • This problem was greatly reduced by the introduction of “evidence-based” medicine, which applied formal rules of evidence in evaluating the clinical literature. • Using widely accepted tools such as the Delphi Method, medicine has now developed hundreds of standard Consensus Statements to guide physicians in diagnosis and treatment. • Similarly, 20 expert members of the new 9/11 Consensus Panel have now developed Consensus Points of “best evidence” opposing the official account of 9/11. • The Panel Members, who remain blind to one another throughout the process, provide three rounds of review and feedback that are refined into 28 Points (thus far) of “best evidence”. • This scientific process has yielded an unprecedented degree of credibility for points of evidence relating to 9/11 that can be trusted by the media and the public. • The 9/11 Consensus Points provide a ready source of evidence-based research to any investigation that may be undertaken by the public, the media, academia, or any other investigative body or institution. We have seen that the evidence supporting the official story of 9/11 has become increasingly open to question. 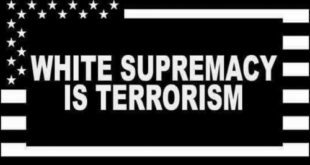 We have also seen that preoccupation with 9/11 has continued unabated through the ever-present war on terror. But to keep things in perspective: lives lost to the sum total of terror events are far fewer than those lost annually to preventable deaths from obesity, smoking, and impaired driving. This should translate into the media giving more time to the prevention of obesity, traffic accidents, and smoking, and less time to preventing terror events. In order to steel ourselves to confront global warming — the most serious challenge ever faced by civilization — we need to reframe our priorities. We need to wage war on our own behaviour, and it’s time to gear up, impose discipline, and win the planet back. This means taking our declared “war on global warming” to the front page of every newspaper, to the top of all social media discussions, and to the Number One item in every town hall meeting on Platform Earth. International Conference: “9/11 Revisited — Seeking the Truth,” sponsored by Dr Mahathir Mohamad, Fourth Prime Minister of Malaysia and President of Perdana Global Peace Foundation (http://www.perdana4peace.org/events/conferences/911_revisited/). “Quo Vadis NATO? — Challenges for Democracy and Law,” University of Bremen, April 26-28, 2013 (http://ialana.de/files/pdf/veranstaltungen/13-Veranstaltungen/IA%20Bremen%20Programm_englisch%2018_4-1.pdf). Presenters included: Dr. Hans-Christof Graf von Sponeck, former United Nations Assistant Secretary General; Prof. Dr. Christopher Weeramantry, former Vice President of the International Court of Justice; Dr. Dieter Deiseroth, Judge at the German Federal Administrative Court; Wolfgang Nescovic, former Judge at the German Federal High Court; Prof. Dr. Reinhard Merkel, Professor for criminal law and philosophy of law, University of Hamburg; Dr. Andreas von Bülow, former German Assistant Secretary of Defense; and Dr. Daniele Ganser, Swiss historian and peace researcher. The Toronto Hearings, September 2011, chaired by four international judges, including Mr. Ferdinando Imposimato, Honorary President of the Italian Supreme Court (http://torontohearings.org/panelists/). The Proceedings are available at: http://www.amazon.com/The-9-11-Toronto-Report/dp/1478369205/ref=sr_1_2?ie=UTF8&qid=1367431792&sr=8-2&keywords=toronto+hearings). The Consensus Points are at http://www.consensus911.org/the-911-consensus-points/. “9/11 Explosive Evidence: Experts Speak Out,” produced by Architects and Engineers for 9/11 Truth (ae911truth.org) was the most watched and most shared PBS video nationwide for several weeks, with over a million viewers. (http://video.cpt12.org/video/2270078138/). CBC. The Fifth Estate. “The Unofficial Story”, November 27, 2009 (http://www.cbc.ca/fifth/2009-2010/the_unofficial_story/ ) The Fifth Estate has won 243 awards, including an Oscar for best documentary, three international Emmy Awards, and 31 Geminis. 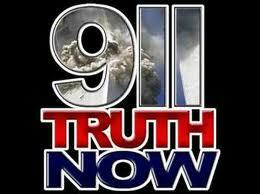 Elizabeth Woodworth, “The Media Response to the Growing Influence of the 9/11 Truth Movement. Part II: A Survey of Attitude Change, 2009-2010,” Global Research, February 15, 2010 (http://www.globalresearch.ca/the-media-response-to-the-growing-influence-of-the-9-11-truth-movement/17624). These are listed at http://abs.sagepub.com/content/vol53/issue6. The print issue is available for $24 from Sage Journals at journals@sagepub.com, telephone 1-800-818-7243. The Panel Members’ photos and biographies are available at http://www.consensus911.org/panel-members/. World Health Organization. “Overweight and obesity are the fifth leading risk for mortality worldwide, accountable for at least 2.8 million deaths each year.” (http://www.who.int/mediacentre/factsheets/fs311/en/index.html). CDC Atlanta. “The adverse health effects from cigarette smoking account for an estimated 443,000 deaths, or nearly one of every five deaths, each year in the United States.” (http://www.cdc.gov/tobacco/data_statistics/fact_sheets/health_effects/effects_cig_smoking/). Climate Institute, “Human Health,” (http://www.climate.org/topics/health.html). This short summary from 2009 or 2010 estimates the health impacts of global warming.